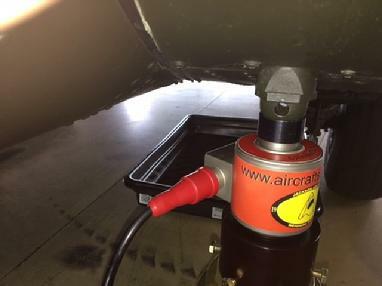 Aircraftscales.com a division of Jackson Aircraft Weighing Systems LLC provides Aircraft scales, Aircraft Weighing Equipment, Helicopter Scales and Large Jet Under Axle Weighing Systems. Aircraft scales, Aircraft Weighing Kits, and Aircraft Weighing Equipment for your aviation and aerospace weighing needs. H60 on our HH2400-3-10CS top of jack scale system. Easy to use wireless transceiver or laptop computer operations, true wireless, no electrical connections required. This system is also available in explosion proof models as well. Our HH2400-3-10CS is a perfect match for your helicopter operation, not only will they work for the H60 but the S76 and other small to medium helicopters as well. Main H60 forward jack point with our standard 10k wireless cell installed. Tail jack point makes leveling easy and quick. 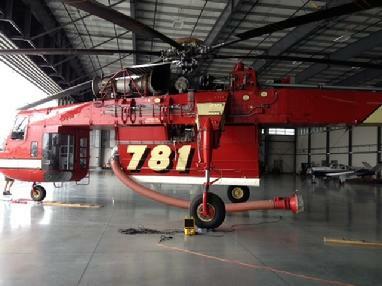 S64 Sky Crane on our M2000-3-10KP 10,000 lb platform system. 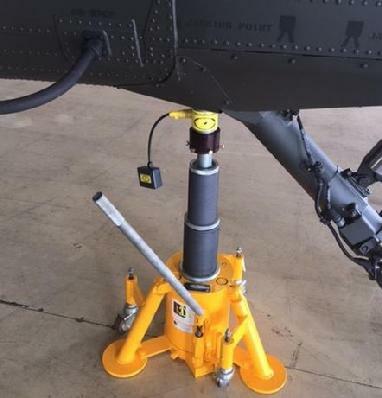 Our 10,000 lb platforms are a great match for all Sikorsky helicopters with wheels. From the largest to the small wheels of the S76 our system can support your weighing needs. Sky Crane main wheel on our 10,000 lb platform. S64 Nose wheel on our 10K platform. We are the manufacture of this system, available in both wired and wireless configurations. We are a direct supplier to HSI and Sikorsky with this system and can sell direct to you to support your OEM, Fleet or MRO programs. 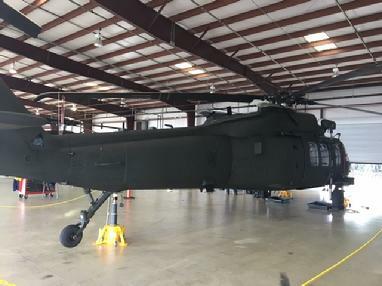 We support the manufactures programs and testing as well as after sale support through Derco Aerospace, one of Sikorsky's support service companies for service, repair and calibration of our equipment.